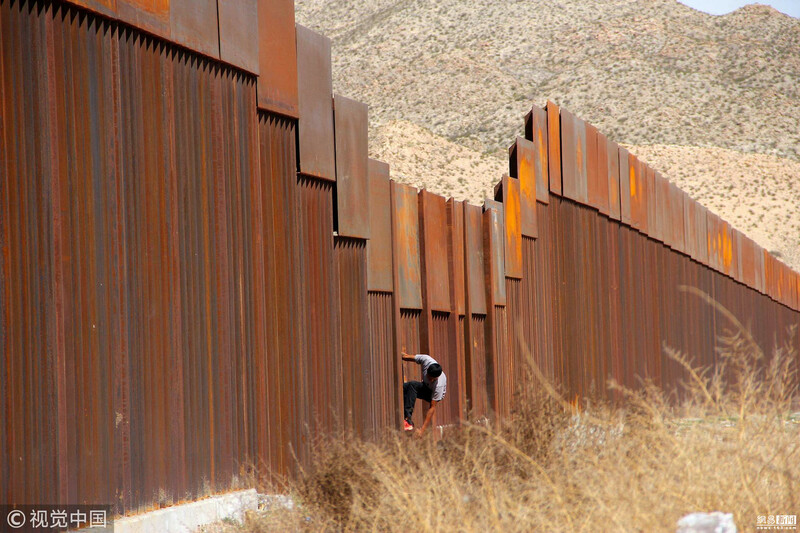 As President Trump battles with Congress over funding, four companies have been selected by the federal government to build concrete prototypes of the president’s long-promised wall along the border with Mexico. 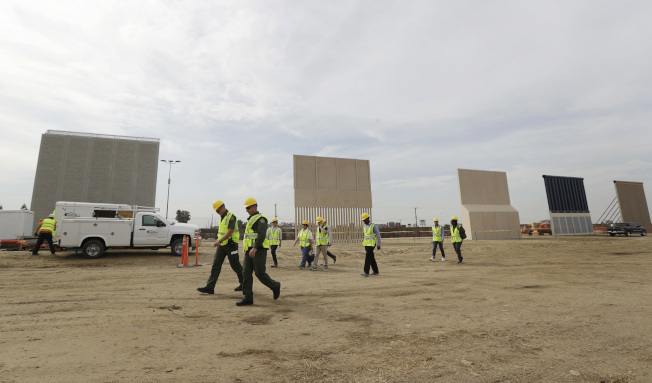 U.S. Customs and Border Protection said Thursday that Caddell Construction Company of Montgomery, Ala.; Fisher Sand & Gravel of Tempe, Ariz.; Texas Sterling Construction Company of Houston, Texas; and WG Yates and Sons Construction of Philadelphia, Miss. have been awarded contracts. The agency issued requests for proposals in March for multiple prototypes. “Through the construction of prototypes, we are partnering with the industry to identify the best way to build new and replacement infrastructure along our border before we make further investments,” Customs and Border Protection Acting Deputy Commissioner Ronald Vitiello said during a Thursday press conference. Vitiello said the agency asked for conceptual wall designs using reinforced concrete and alternative material to construct multiple wall prototypes in the San Diego, Calif. area. “The prototypes and resulting wall infrastructure will complement the various other tools that we employ to secure our borders,” he said. The Republican-controlled Congress has yet to pass a spending resolution to keep the government fully operational past Sept. 30. Trump has suggested he’s willing to shut down the government in order to get funding to build a wall on the border with Mexico. “Believe me, if we have to close down our government, we're building that wall,” the president said during a rally in Arizona last week. Immigration and Customs Enforcement (ICE) Acting Director Thomas Homan on Tuesday said he plans to further crack down on undocumented immigrants by sending more resources and agents to sanctuary cities. Homan told Washington Examiner on Tuesday that he plans to address "ludicrous" sanctuary cities. "In the America I grew up in, cities didn't shield people who violated the law," Homan told the publication. “What I want to get is a clear understanding from everybody, from the congressmen to the politicians to law enforcement to those who enter the country illegally, that ICE is open for business." During his interview with the Examiner, Homan also praised the Trump administration, saying it has "taken the handcuffs off law enforcement," allowing them to address immigration more thoroughly. "You can like President Trump, not like him, like his policies, not like his policies, but one thing no one can argue with is the effect they've had," said Homan. 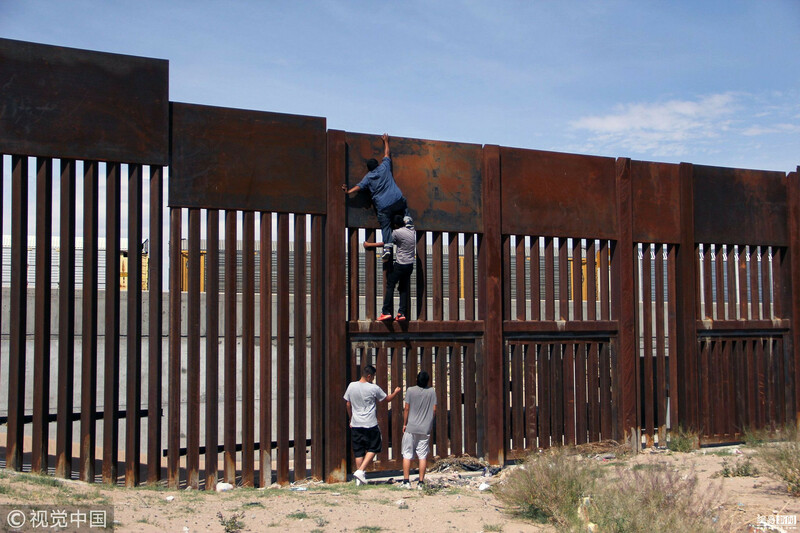 According to Homan, illegal border crossings have decreased by 70 percent under Trump and arrests inside the country have increased by 40 percent. The 30-year immigration agency veteran also said he has gotten a green light to hire 10,000 new immigration agents, who will work to arrest illegal criminals sheltered in sanctuary cities and elsewhere. Sanctuary cities are jurisdictions with policies limiting cooperation between local law enforcement and federal immigration agents and include cities such as New York, San Francisco, Chicago and Austin. President Trump campaigned on cracking down on illegal immigration and stepping up border security.